Team All Things Bakelite: The Age of Plastic wishes to thank Professor Hatsuo “Ken” Ishida, Dept. 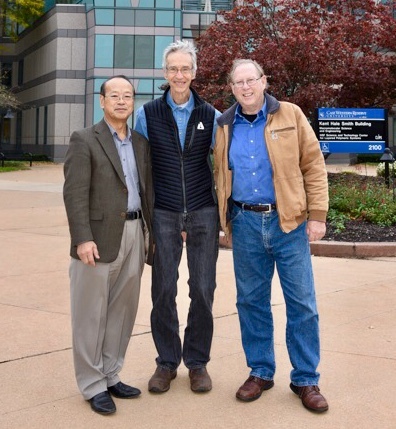 of Macromolecular Science and Engineering at Case Western Reserve University, Cleveland, Ohio, for his generous hospitality towards John and Hugh in Cleveland. 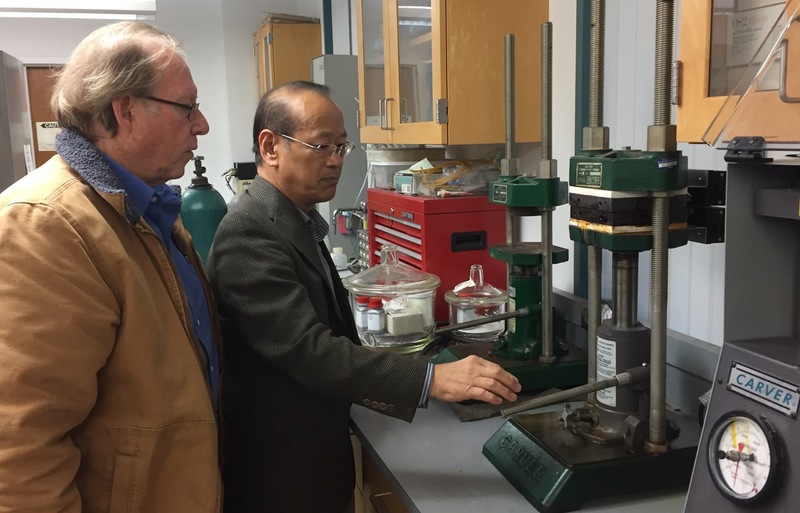 We loved the tour of your labs with Dr. Lu Han on November 2nd. The dinners you treated us to were exceptional – both the food and the company. Your wife, Dr. Yuqin Li, and son, Leo were charming and Hugh looks forward to continued conversation with Leo. At the second dinner, we enjoyed lively conversation with your Department Head, David Schiraldi and Mark Soucek, Dept. 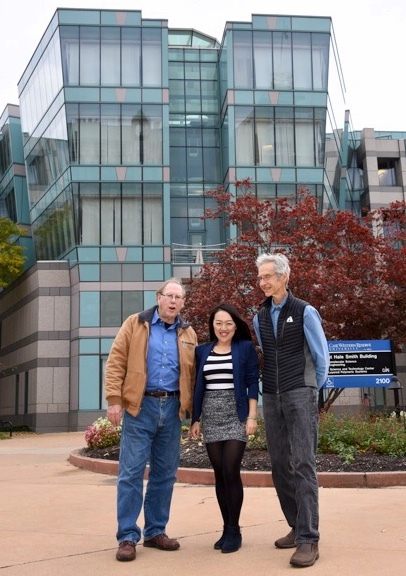 of Polymer Engineering at the University of Akron and his son. We especially appreciate how everything came together for the November 3rd screening in the Strosacker Auditorium. It was our largest and most appreciative audience to date. A special thanks to Mark Soucek, University of Akron, Emily Pentzer, Dept. of Chemistry and David Schiraldi, Dept. Head of Macromolecular Science and Engineering at Case Western for their participation in the Q & A. My students were pleasantly surprised at just how entertaining, fun, and informative the documentary ended up being. I heard only good reviews from my students who said there were many parts that made them laugh and they found that it was engaging for the entire time. I also found that it was incredibly well done and learned quite a bit about polymers. It was an excellent movie! I think that after watching the film, I felt a reiteration of the importance of plastic and polymers. It is an issue with unacknowledged importance, and has a plethora of unsolved problems. I am applying to college at this point, and I want to be a chemical engineer so that I can synthesize materials that can solve problems and be better for the environment, which were topics in the Bakelite film. Watching the film, I felt some recognition towards the problem that I want to devote my career to, which was great. Thanks! 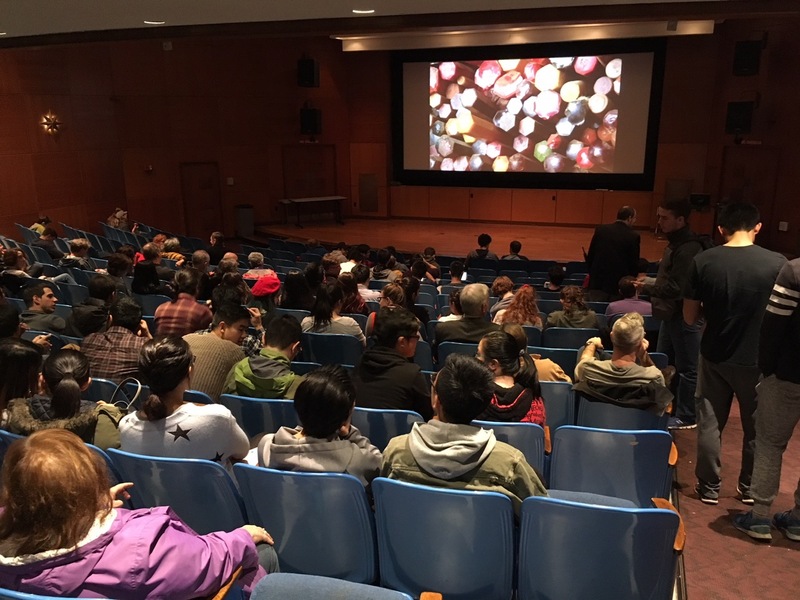 Before the screening at Case Western, staff reporter, Hope Yashnik, wrote an article, Bakelite Film Highlights the Inventor of the First Plastic for the campus newspaper, the Observer.